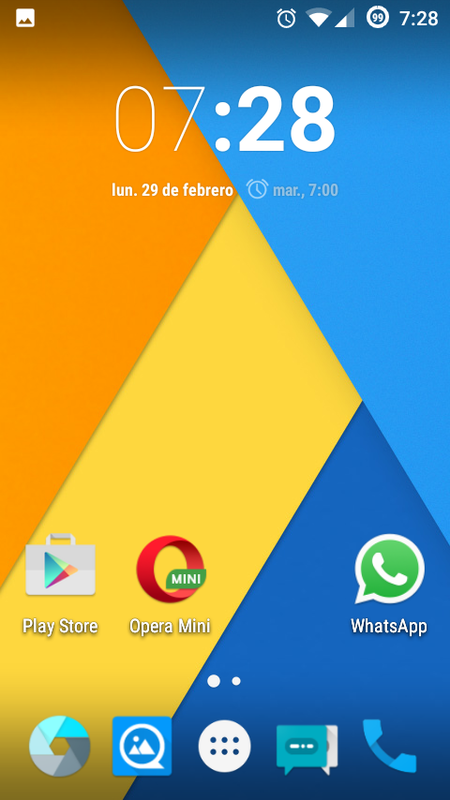 In this article I describe how you can install the latest version of Android (Marshmallow) on a mobile phone from 2011, and make it work better than ever. Each year, all mobile phone makers launch a number of new models, which contain new functions designed to convince us to upgrade to the newest model, despite that our existing phone only is a couple of years old, and should give several years of additional service. At the same time, at least once a year, a major upgrade of the phone's operative system is released, however most phone manufacturers cease to adapt the operative system to older models a few years after launch. There is nothing strange about this, the resources are allocated to the newer models, that will generate the incomes. The result is that you are stuck with a phone, that works continuously worse depending on that the newer apps require more from the phone, and with an operativ system that lack the newer functions and perhaps has safety flaws that will not be addressed. In my case the problem is even more complex,l since I have a Sony Ericsson Xperia Ray from 2011, with (according to my preferences) perfect dimensions, weight and performance. Sony Ericsson Xperia Ray - the perfect phone? Officially Sony Ericsson (later Sony) stopped to support the phone with Android version 4.0.4 (Ice Cream Sandwich). The fact is that the previous version 2.3.7 (Gingerbread) worked better on the phone, but a number of apps require Android 4 or higher. Så what should one do with your obsolete phone? 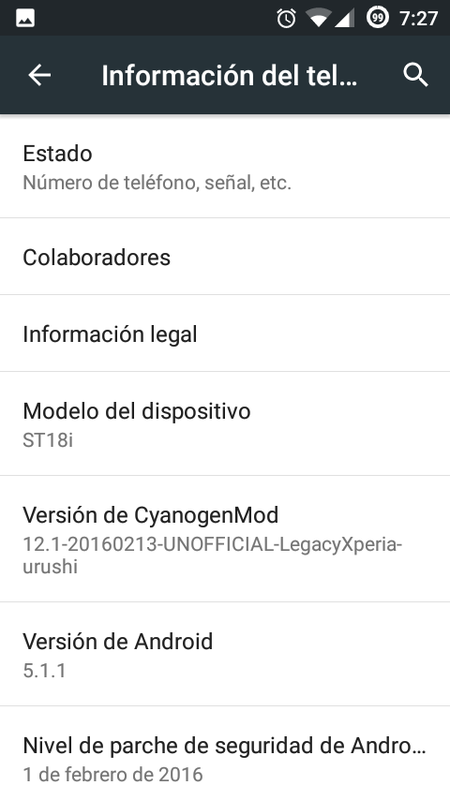 After having tested several homebrewn Android version based on Gingerbread, I found Legacy Xperia, a project led by the Greek Michael Bestas, aiming to adapt the laters versions of Cyanogen Mod (an Android distribution) to the Sony Ericssons produkct line from 2011 (in which except for Xperia Ray (kode name urushi) also includes Xperia Arc/Arc S (anzu), Live with Walkman (coconut), Xperia Neo V (haida), Xperia Neo (hallon), Xperia Pro (iyokan), Xperia Mini Pro (mango), Xperia Neo L (phoenix), Xperia Active (satsuma), Xperia Mini (smultron) and Xperia Play (zeus). Jag installed Legacy Xperia CM11 (based on Android 5.0 Kitkat) and have used this version daily on my everyday phone during more than one year, until recently when I installed Legacy Xperia CM12.1 (based on Android 5.1 Lollipop) and determined that it works even better. I will soon install Legacy Xperia CM13 (based on Android 6.0 Marshmallow) on my backup phone and evaluate if this version is already stable enough four daily usage. On the official website of the project you will find all information you need (instructions on how to install, links to required files and forums for the different versions). The project is based on voluntary contributions, but accept donations. You can use the memory card (microSD) as virtual internal memory. 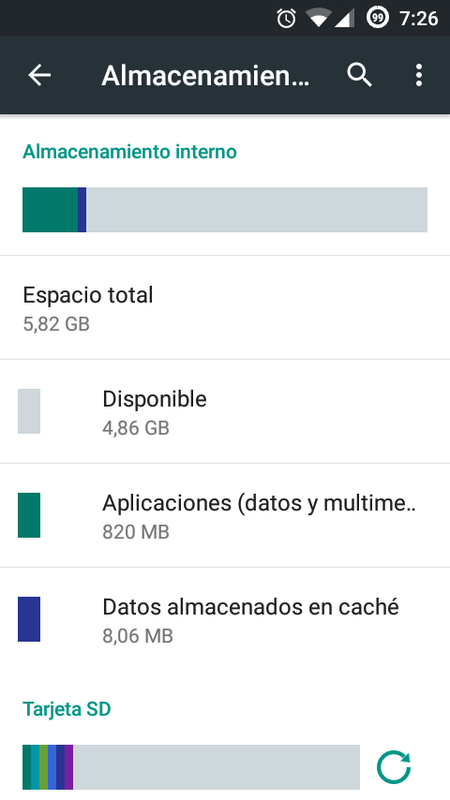 I have designated 6GB as internal memory on my Xperia Ray, which is more than many newer phones have (observe that a fast class 10 memory card is recommended). Newer functions, such as using the phone as router (teethering), to share the Internet connection, are intergrated. Except from the standard Android's built in functions, you also take advantage of the additional functionality of Cyanogen Mods. The distribution comes in a stripped down version (the so called bloatware is not pre installed). You can even decide if you want to installa Google Apps or not. The distribution in itself requires that the phone is rootad (has superuser permissions), which gives greater control (and possibility to install aps like Titanium Backup, which in itself is a heavy argument to root the phone). The latest know safety risks have been corrected. This is not for the beginnhers. Despite of providing very detailed instructions, is a an advantage to have basice knowledge about PCs and operative systems. And a will to learn and not to give up when the technology won't work (sometime this will happen for sure). Some functions are not supported, for example the FM radio does not work (but you can used apps like Tunein), HDMI does not work and ANT+ is not supported (which is a pity, since it works well with a range of exercise peripherals). In order to install Legacy Xperia the bootloader must be unlocked and the phone must be rootad (have superuser permissions). This normally means that you in practice voids the warranty (but it is usually not an issue on these older phones). Read the instructions thoroughly before you start. If you are not careful, you can brick the phone..
On Ebay's international website, you can purchase unused Sony Ericsson mobile phones from 2011 at decent prices. My latest Xperia Ray cost around 70€ including shipment. You should used a really fast microSD memory card (Samsung Ultra class 10 work well - I use the 32GB-variant which cost around 12€). Do you have personal experience from installing Legacy Xperia? Feel free to leav your comments and opinions in the comment system below. I agree the Sony Xperia Ray is a great phone. I really miss a phone with its dimension but with updated specs in the current product line from Sony. The Compact phones are great, but they are still too large.